Kristin Rosenbach is a teacher, truffle hunter, dog trainer, Reiki Master Teacher, Animal ReikiShamanic practitioner, and mesa carrier in Peruvian shamanism. Her energy work and dog training practices bring physical wellness, energetic balance and spiritual connection together for the highest good of the mind, body, spirit and interspecies connection. She believes that integrating energy work into the teaching and learning process with dogs facilitates deeper understanding, stronger relationships, and efficient learning. Kristin and her four dogs are some of the very few professional truffle dog teams in all of North America who are qualified for truffle location services on both wild stands and in truffieres. She is a self-taught truffle dog handler and her intuitive approach to teaching and training is highly effective at developing strong relationships between handler and dog as well as accelerating the training process in a meaningful, genuine, and gentle way. Kristin is passionate about interspecies relationships, teamwork, and educating others about the energetic connection we share with our animals and the value of a partnership with animals. She is very active in a variety of dog sports, including agility, herding, tracking and truffle hunting. She currently competes in agility with her Border Collie, Callie, and Belgian Tervuren, Da Vinci. Cash, her Sheltie, prefers truffle hunting, herding, and cuddles on the couch. 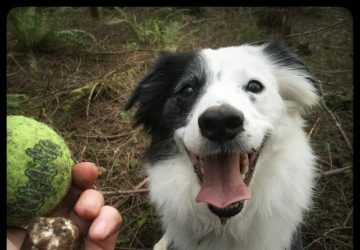 MacGyver, a Border Collie puppy who has already found his first wild truffles, is off to a brilliant start in herding and agility. Learn more About Kristin or Schedule a Session. April 15, 2016 - Oh, Magnificent Callie! There is a reason we call you The Great White Truffle Dog. I was not expecting to find spring whites today! 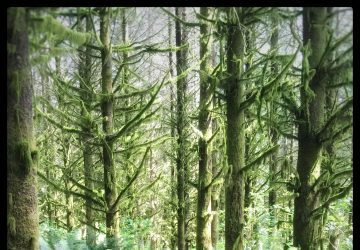 4-13-2016 - Da Vinci and I went for a stroll through these beautiful PNW woods today and stumbled upon some treasures.